Today is the birthday of the American writer Louisa May Alcott (1832–1888), author of the enduringly popular young-adult novel Little Women (1868). If you have Alcott fans in your homeschool, they should know that they are not alone. 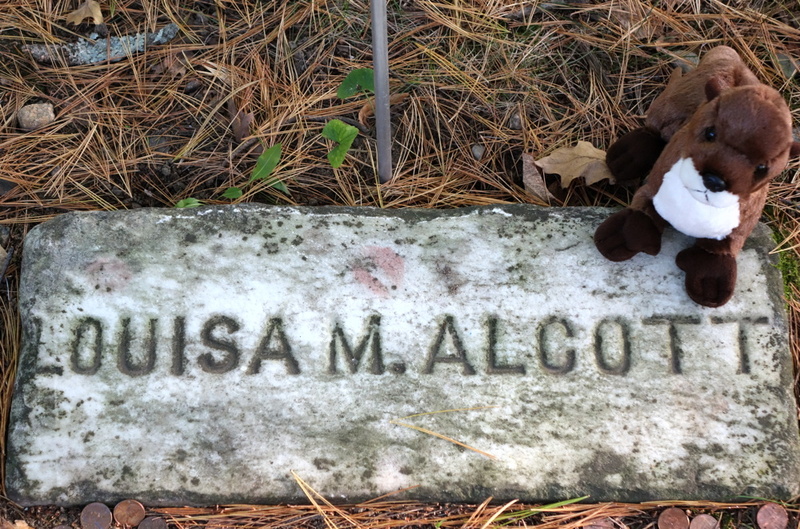 Our mascot, Horace the River Otter, is also an Alcott fan and recently paid his respects at the Sleepy Hollow Cemetery in Concord, Massachusetts, where Louisa and her family are buried. Our mascot, Horace the River Otter, visits the grave of Louisa May Alcott in Concord, Massachusetts. Old cemeteries are wonderful places to explore and learn about history and culture. The Find-A-Grave website (findagrave.com) will help you locate the final resting places of all kinds of notable people — writers, artists, scientists, politicians — as well as millions of other regular folks all around the world. If your students have a favorite historical figure that they like to read about, why not look that person up on Find-A-Grave and add some additional historical perspective to their understanding. It’s Books & Libraries Day at the River Houses, and since this Wednesday is the birthday of the great poet and artist William Blake (1757–1827), why not spend a few library minutes this week introducing your homescholars to his name and his work. We like to use the annual calendar as a tool for “teaching with-out the curriculum” — for casually introducing names, dates, ideas, images, and language that may not be part of your formal homeschool course of study (if you have one), but that are culturally and historically important for students to know. This doesn’t require any special planning. 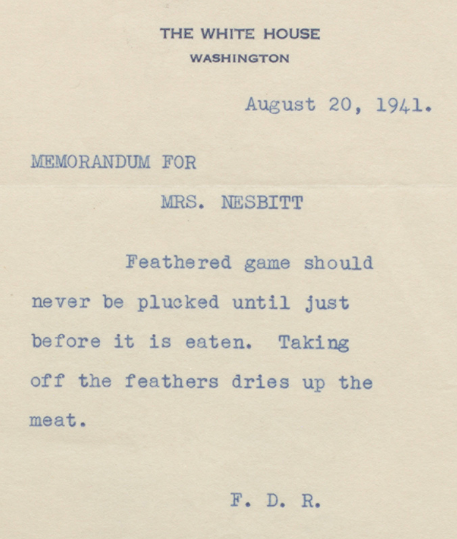 Our regular “Quick Freshes” postings include an array of interesting events each week, and all you have to do is pick one, take a moment to look it up online or on your next local library visit, and then share a picture or a few paragraphs with your students — and with that, your little lesson is done. This week, you can do that with William Blake, one of the most influential figures in English literary history. His poem “The Tyger” is one of the most widely anthologized poems in the language, and his visual style is unmistakable. His life was unorthodox and turbulent — he suffered from hallucinations and today would almost certainly be diagnosed with some form of mental illness — but it was that turbulence that drove his creativity. Your local library will have others for you to explore, and if Blake’s fearful symmetry happens to catch your imagination, they will be able to order even more volumes for you via interlibrary loan. ❡ Explore more: For a brief overview of the international artistic and philosophical movement known as Romanticism, including another engraved illustration from Blake’s Songs of Experience , turn to pages 338–339 in your recommended River Houses history encyclopedia (riverhouses.org/books). 🗓 TODAY (Sunday, 25 November) — Today is the 329th day of 2018; there are 36 days remaining in the year. Learn more about different kinds of modern and historical calendars on pages 351–357 in your River Houses almanac (riverhouses.org/books). ⬩ Today also is the birthday of the great Scottish-American businessman and philanthropist Andrew Carnegie (1835–1919), who planted beautiful public libraries all around the world. MONDAY (26 November) — The first lighthouse on the deadly Eddystone rocks off the southwest coast of England was destroyed on the night of 26/27 November in the Great Storm of 1703. No trace of the six occupants of the lighthouse was ever found. ⬩ The classic movie Casablanca, starring Humphrey Bogart and Ingrid Bergman, premiered on this day in 1942. ⬩ And today is the birthday of Charles M. Schulz (1922–2000), creator of the beloved Peanuts comic strip. TUESDAY (27 November) — Today is the birthday of the Swedish astronomer and physicist Anders Celsius (1701–1744), a man of degrees. ⬩ The first Macy’s Thanksgiving Day Parade was held in New York City on this day in 1924. THURSDAY (29 November) — Today is the birthday of the American novelist Louisa May Alcott (1832–1888), author of Little Women and Little Men. SATURDAY (1 December) — Today is the beginning of Orion Term in the River Houses. ⬩ And December in the River Houses is Holiday Music Month! 🎵 Keep your eyes and ears open for many musical delights throughout the month. ⬩ Our homeschool poem-of-the-week for the first week of December is “R.L.S.,” a gem-like homage to Robert Louis Stevenson written by A.E. Housman (1859–1936). Print your own River Houses poetry calendar at riverhouses.org/calendars and follow along with us throughout the year. ⬩ On this day in 1955 in Montgomery, Alabama, civil rights activist Rosa Parks (1913–2005) was arrested for refusing to give up her bus seat to a white man, an event that sparked the Montgomery bus boycott and the subsequent growth of the American civil rights movement. SUNDAY (2 December) — The Touro Synagogue in Newport, Rhode Island, the oldest Jewish synagogue building in the United States, was dedicated on this day in 1763. 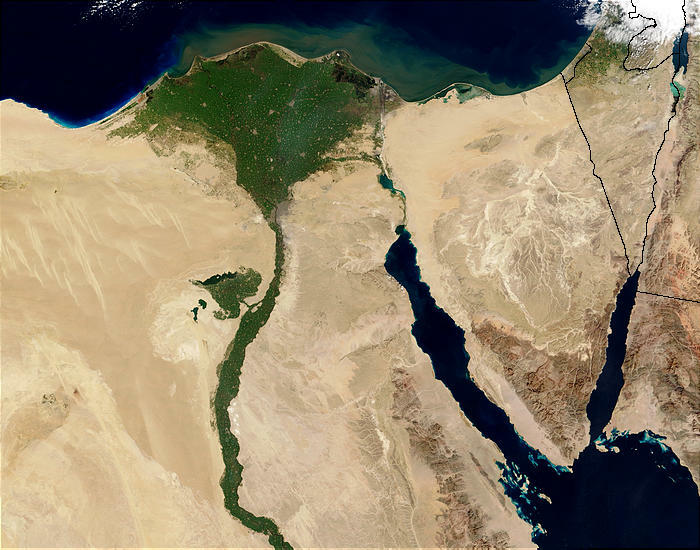 🌎 EVERYTHING FLOWS: Egypt is one of our countries-of-the-week, so our Weekly World River is the great Nile, the mother of human civilization. You can chart its course in your River Houses atlas (riverhouses.org/books), and you can read more about it in the Nile River entry in Wikipedia or perhaps on your next visit to your local library. ❡ Let the river run: Why not do a homeschool study of world rivers over the course of the year? Take the one we select each week (above), or start with the river lists in your almanac (pages 691–692), and make it a project to look them all up in your atlas, or in a handy encyclopedia either online or on a weekly visit to your local library. A whole world of geographical learning awaits you! And that’s how we came to have this lovely work, which is well on its way to becoming an American (and worldwide) choral classic. But you can study all that next week. Today, just listen and enjoy. 😊 Happy Thanksgiving! What delicious literary discoveries have you made in your homeschool this week? ❡ Explore more: The Poetry Foundation’s website (poetryfoundation.org) includes biographical notes and examples of the work of many poets (including children’s author Rowena Bastin Bennett) that are suitable for high school students and homeschool teachers. What historical anniversaries are you marking in your homeschool this week? ❡ Explore more: You can learn about the history of the Gettysburg Address at the special online exhibition prepared by the Library of Congress. The text of the Address is available on page 483 in your River Houses almanac, and a beautifully illustrated outline of Abraham Lincoln’s life and work is available in your history encyclopedia on pages 316–317 (riverhouses.org/books). Your atlas will point you to the location of Gettysburg, Pennsylvania. 🌔 THE MOON at the beginning of this week is gibbous and waxing, and the Leonid Meteor shower is just ending — take a look outside after dark and you may still see a few! You can track the moon’s phases each month at timeanddate.com, and you can dial up this week’s constellations with your River Houses star atlas (riverhouses.org/books). 🗓 TODAY (Sunday, 18 November) — Today is the 322nd day of 2018; there are 43 days remaining in the year. Learn more about different kinds of modern and historical calendars on pages 351–357 in your River Houses almanac (riverhouses.org/books). ⬩ Saint Peter’s Basilica in Vatican City, the largest church in the world, was consecrated on this day in 1626. ⬩ And today is the birthday of the great American composer and lyricist Johnny Mercer (1909–1976). MONDAY (19 November) — Seven score and fifteen years ago today, Abraham Lincoln delivered the Gettysburg Address. Why not read it aloud in your homeschool today — you’ll find the text on page 483 of your almanac (riverhouses.org/books). WEDNESDAY (21 November) — A paper titled “Does the inertia of a body depend upon its energy content?” was published in the German science journal Annalen der Physik on this day in 1905. The author was a 26-year-old Albert Einstein, and the paper established that E = mc2. THURSDAY (22 November) — HAPPY THANKSGIVING! 🦃 🦃 (That’s emoji for “gobble gobble.”) We’ll have some lovely music to share with you today. Thank you all for following us here at the River Houses! 😊 We’ll also be sharing our homeschool poem-of-the-week for the last week of November: Rowena Bastin Bennett’s “Thanksgiving Magic,” for all Thanksgiving Day cooks from sea to shining sea. Print your own River Houses poetry calendar at riverhouses.org/calendars and follow along with us throughout the year. FRIDAY (23 November) — Today is Native American Heritage Day, as enacted by Congress in 2008. We’re going to share a wonderful family song from Cherokee recording artist Michael Jacobs, just right for Thanksgiving and the day after. 🌕 And, there’s a full moon tonight, so that means we’ll have a report today from the River Houses Lunar Society. SATURDAY (24 November) — Charles Darwin’s On the Origin of Species was published on this day in 1859. 🦋 And the much loved novel Black Beauty was published on this day in 1877. SUNDAY (25 November) — Today is the birthday of the great Scottish-American businessman and philanthropist Andrew Carnegie (1835–1919), who planted beautiful public libraries all around the world. 🌎 EVERYTHING FLOWS: The Czech Republic (Czechia) is one of our countries-of-the-week, so our Weekly World River is the the lovely Vltava River, which flows through the Czech capital of Prague. You can chart its course in your River Houses atlas (riverhouses.org/books), and you can read more about it in the Vltava River entry in Wikipedia or perhaps on your next visit to your local library. A great poem — and this is a great poem — can become your friend for life, and as with any new friend, you need to take some time to get acquainted. We always recommend looking at structure first, before you even start to think about meaning; this teaches your students to see poems as finely crafted pieces of literary labor and not just spontaneous assemblages of words. Housman was a literary master-craftsman, and his structural skill is very much on display here. Notice first that the poem consists of two complete sentences that divide the work precisely in half. Next, count the syllables: each line has exactly six, with no irregularities. Note also, remarkably, that with the single exception of the word primal, the entire poem is composed of one-syllable words. That’s a very hard thing to do — invite your students to write two good 24-word sentences using only one-syllable words, and you’ll see that it requires some effort. What about the rhyme scheme? It’s simple and exact, with no off-rhymes: fall–die–all–sky be–fault–sea–salt (ABAB CDCD). The meter is formally iambic trimeter — a very short and tight form — and that’s easy to see in the second line: “But when′ they drop′ and die′.” A more natural reading of many of the lines will depart from this heavy iambic beat, however, because it can come across as too jingly or sing-songy in such a short poem. 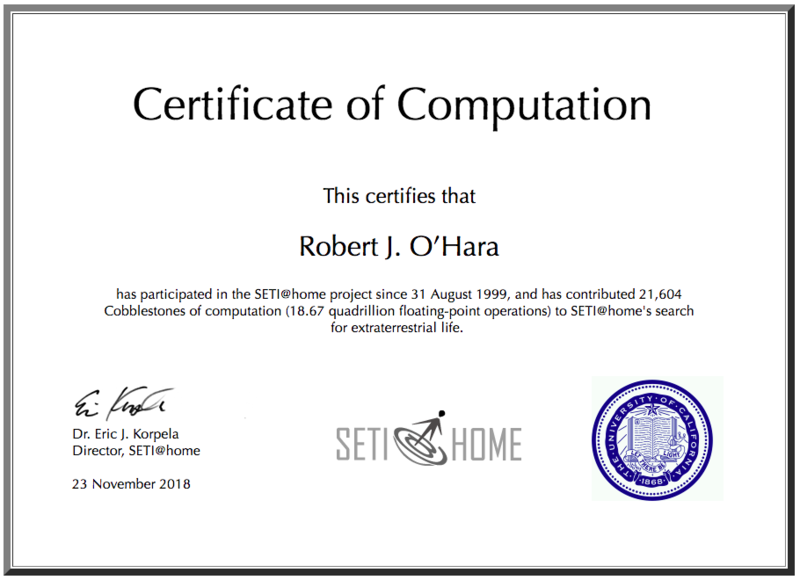 For example, the third line could be formally scanned: “No star′ is lost′ at all′” — a sing-songy rendering. But it’s more natural and effective to read it aloud as: “No′ star′ is lost′ at all′” — a reading with two strong initial pulses that emphasize the idea of “No star” being lost. What about meaning? Housman was a Classical scholar who was knowledgeable about ancient astronomy, philosophy, and religion. The two halves of the poem contrast the world of the heavens — Classically imagined as perfect and unchanging — with the defective and imperfect “sublunary” world in which we mortals live. Even though stars seem to fall, the heavens remain perfect: “No star is lost at all.” Our earthly existence is the opposite. No matter how hard we try — “the toil of all that be” — we can never achieve the perfection of the heavens because “the primal fault,” Original Sin in the Christian worldview, makes perfection impossible. Brine, not pure water, is what we mortals must taste in life. ❡ Explore more: The Poetry Foundation’s website (poetryfoundation.org) includes biographies and examples of the work of many important poets (including A.E. Housman) that are suitable for high school students and homeschool teachers. The Leonids appear to radiate from the constellation Leo, which rises in the east about 10:30 p.m. at this time of year, so that’s the general direction you’ll want to be looking. Your River Houses star atlas (riverhouses.org/books) will let you dial up a map of the constellations for this night (or any night), and will help you orient yourself to the sky overhead. The AMS also has a printable poster of basic meteor terminology — it’s just the thing for your homeschool bulletin board. 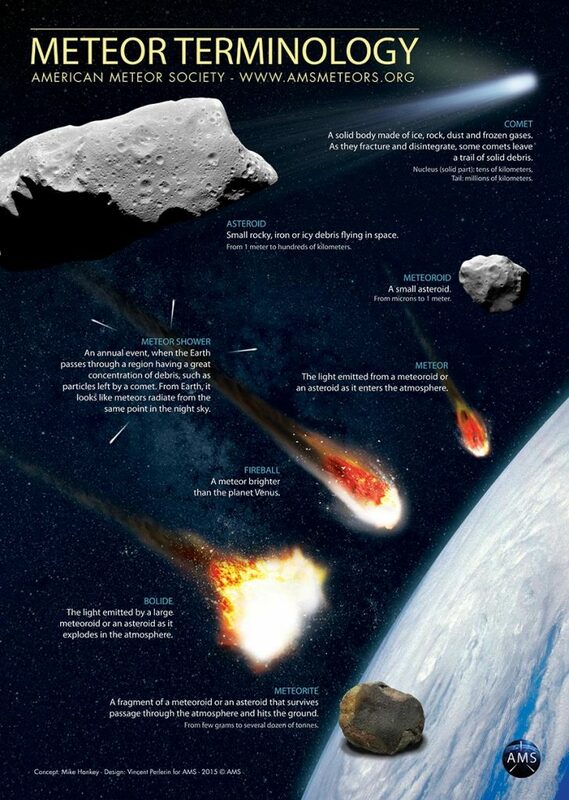 Meteor terminology, a free printable poster available from the American Meteor Society. The Leonids are a particularly famous meteor shower because they have played an important role in history, both scientific and cultural. The parent object of the Leonids is comet Tempel–Tuttle, which orbits the sun once every 33 years. That means that the Leonids are especially abundant, on average, every 33 years. On those occasions they sometimes produce a meteor storm, with thousands or even tens of thousands of meteors visible every hour. One such storm occurred over North America in 1833. It was accorded religious significance by many people at the time, and in the scientific community this storm provided important new insights into the relationship between meteor showers and comets.